PVC multi-layer pipes have long since established themselves for a great variety of applications in many regions around the world. Nevertheless, the demand for these light-weight, functional pipes is still on the increase, and at the same time manufacturers are looking for production equipment with more and more output capacity. In response, the Con-struction Division of battenfeld-cincinnati, Bad Oeynhausen/Vienna, is showcasing two new models of its multi-layer pipe dies at the K, which are flexible in application thanks to their modular concept and meet the demand for high performance. 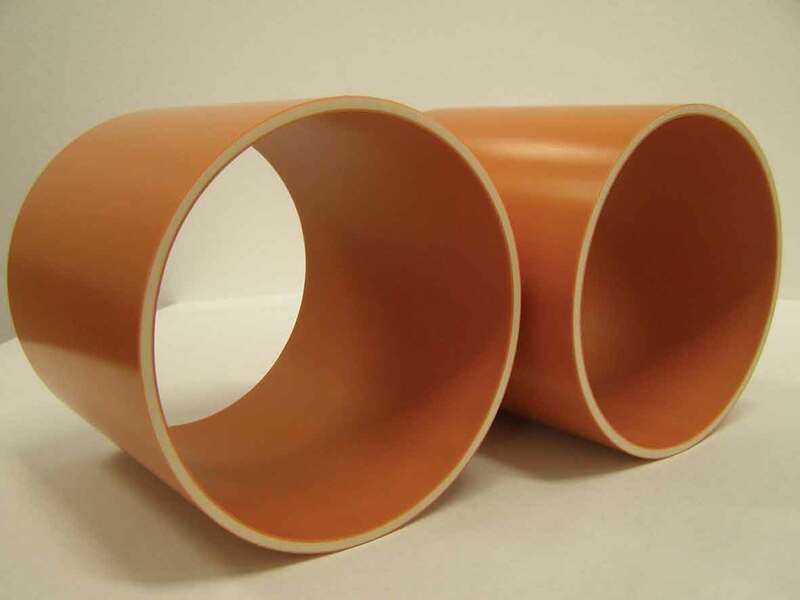 Light pipe weights and/or low-cost material compounds and easy handling of the equipment are the attributes desired by manufac-turers of 3-layer PVC pipes with a foam-core middle layer or a middle layer with filler content. This is why many pipe manufac-turers are currently replacing their existing die systems, which consist of feedblock-pipe head combinations, with new multi-layer pipe dies. With its two new die models, spider 200-3 and spider 400-3, battenfeld-cincinnati offers its customers the optimal solu-tion. The dies are suitable for pipe dimensions ranging from 32 to 200 mm in diameter, or from 110 to 400 mm respectively, and they permit throughputs from 350 to 1,200 kg/h. In addition to their high capacity, the dies feature excellent layer thickness dis-tribution with narrow tolerances as well as short dwell times, thanks to short flow paths and compact tooling design. The highlight of the new pipe dies is their middle layer distributor, with which the entire bandwidth of materials can be processed without any problems and without any need for adaptation. These dies give processors optimal flexibility for processing foamed com-pounds or compounds with filler content, as well as compounds with a high proportion of regrind. Their efficiency in production is further enhanced by their modular design, which enables quick and easy conversion of the die into a two-layer pipe die. As an extrusion equipment specialist, battenfeld-cincinnati also offers the matching extruders in addition to the optimal dies for the production of PVC foam-core pipes. 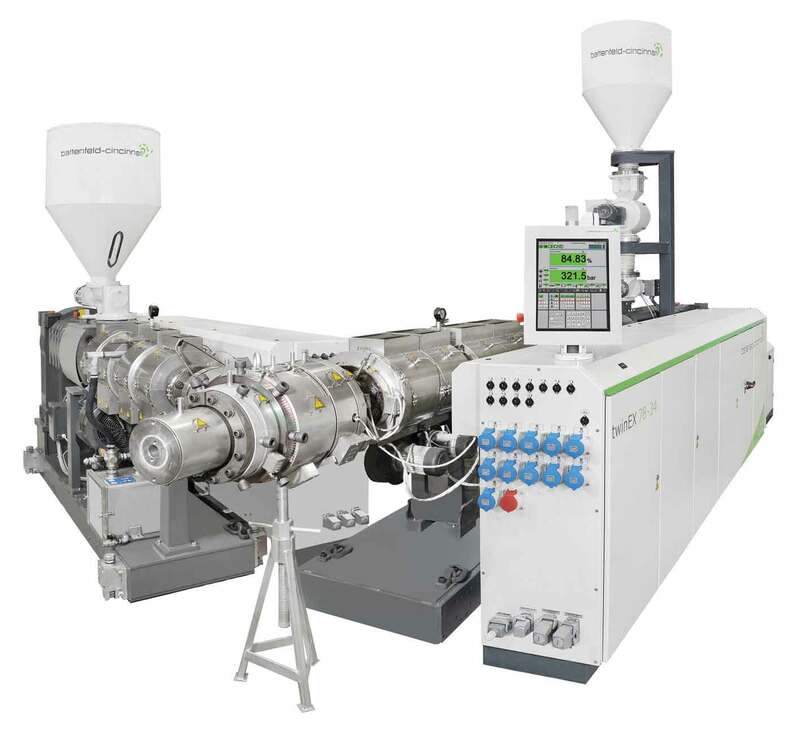 With the twinEX parallel twin-screw extruder series for throughputs ranging from 150 to 1,600 kg/h, suitable plasticizing units are available for a wide range of middle layer materials. The four models of the 34 D series stand out by excellent their homogenization and dispersion.